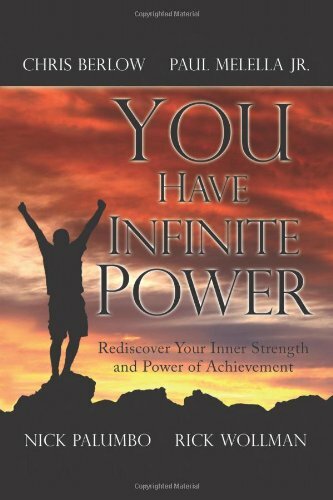 Synopsis: This is the pinnacle of personal growth and development books and it will help transform your life and teach you that you really do have Infinite Power inside you - to do anything you want and enjoy life to the fullest. About the Author&colon; A team of martial arts experts who are also accomplished professionals, Chris Berlow, Nick Palumbo, Paul Melella Jr., and Rick Wollman offer a wide variety of personal strengths to the combined team of Empowered Mastery. Empowered Mastery is located in NY.